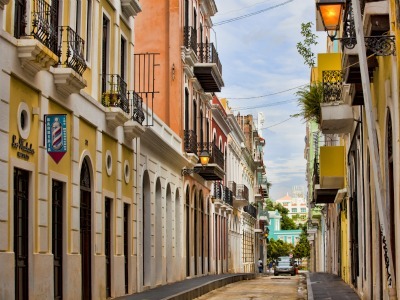 The capital and largest city in Puerto Rico, San Juan is an exciting mix of old and new. This modern metropolis is a favorite cruise destination for those exploring the Caribbean, and visitors delight in the historical buildings and attractions in the Old San Juan district. The city is the second oldest European-established community in the Americas and is famous as both a tourist destination and a bustling international port. Visitors to this region will have their hands full deciding what to do next, as the city offers a great number of walking tours, fine shops and restaurants, street markets and nearby beach getaways. Cruise vessels arriving in San Juan will dock either in the harbor directly in front of the Old City district or across the bay; taxi service will be available at either location. For those disembarking in the Old City, most of the downtown area attractions are within walking distance, as are many of the major hotels, banks and internet cafes. San Juan has a number of city bus tours and these usually depart from the cruise dock in Old San Juan. 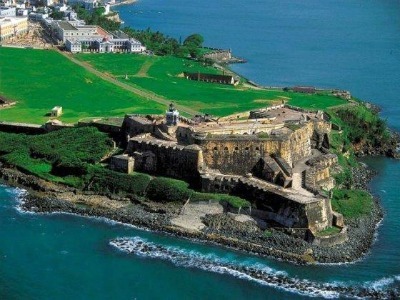 Old San Juan, located on the small island known as Isleta de San Juan, is the historical center of the city and is connected to the mainland by both bridge and causeway. It was the center of town during Spanish colonial times and the historical buildings found in this part of the city are a must see. 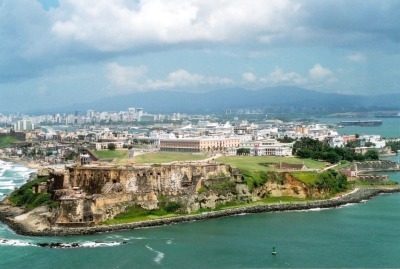 Of particular interest is the Fort San Felipe del Morro and Fort San Cristobal, as well as La Fortaleza, another historical fort that now serves as the governor's mansion. This entire district is filled with interesting shops that offer everything from clothing and memorabilia to fine-crafted items. Visitors can take a ferry to Catano and visit the famous Bacardi Rum factory, or hop a taxi and explore one of the white sand beaches at Condado and Isla Verde. San Juan and in particular the Old City district is full of interesting restaurant establishments, serving everything from the usual hot dogs and burgers to international gourmet dining along Recinto Sur near the waterfront. European dinner menu items are quite common but there is also plenty of seafood, sushi and vegetarian courses available. Most cruise ships do not depart San Juan until late at night so it is popular for visitors to take their evening meal in the town. Old Town is full of bar and grill restaurants for those who wish to eat a bit and sample the local cocktails. Old San Juan is within walking distance of the cruise docks, unless the arrival is on the mainland. Taxi service is plentiful and drivers know every destination in the city. The local omnibus vehicles travel all of the main avenues and can be hailed with a wave at any street corner. Rental car agencies are located in nearby Condado, which is also easily reached by taxi. San Juan is a United States territory. As such, the currency is the US dollar. Spanish and English are the most common languages, although English is spoken more frequently in the areas where tourists frequent. It is important to wear comfortable walking shoes when visiting the city as many of the streets are made of blue cobblestone and the terrain is rather hilly. The aerial view of Old San Juan. The beautiful Isla Verde beach, one of the favorite places of cruise travelers. Walking around and shopping in Old San Juan. Here is Fort San Felipe del Morro, perhaps the most famous historical site in San Juan.